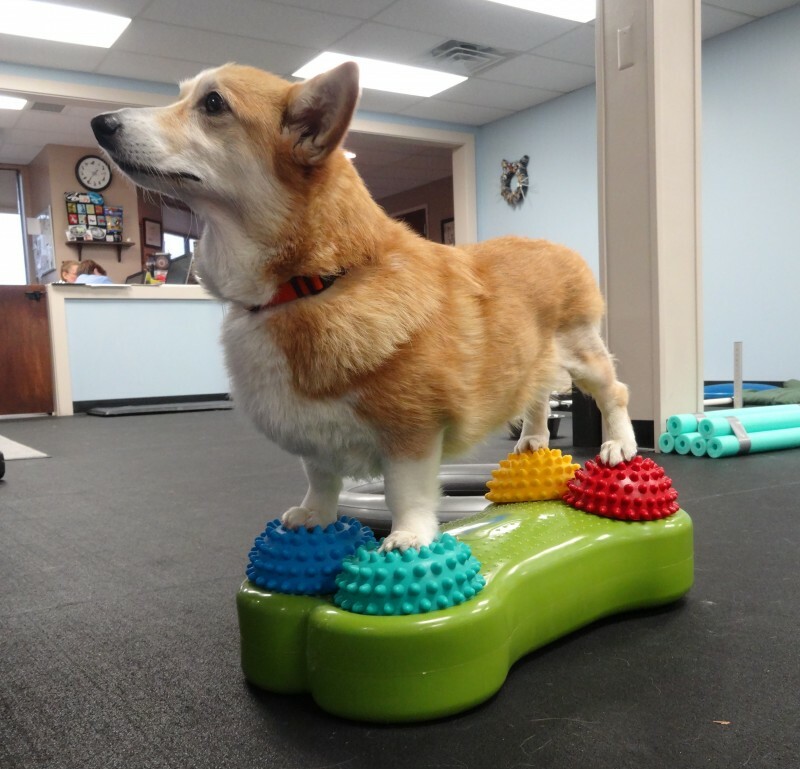 Rehabilitation therapy in veterinary medicine is similar to physical therapy in people, but has some significant differences due the variations in the animal’s anatomy and the extreme forces that can be placed on their joints, bones, tendons and muscles. As a result, rehabilitation programs should be developed with veterinary rehabilitation professionals who work closely with your pet’s veterinarian. Doods practices her balance after TPLO surgery on her left knee. When injured and following surgery, rest and controlled activity is very important for our pets. However, the longer the body is inactive, the more muscle atrophy will occur. Realistically, getting back to structured activity is extremely important for the healing process, which is why rehabilitation therapy recommended after surgical procedures.